Effectiveness of a Pulse Oximetric Screening for the Detection of Congenital Heart Disease in Asymptomatic New-Borns- An Observational Study. Shaik Nazeer Ahmed Associate professor, Dept of Pediatrics, Narayana medical college, Nellore, Andhra Pradesh. 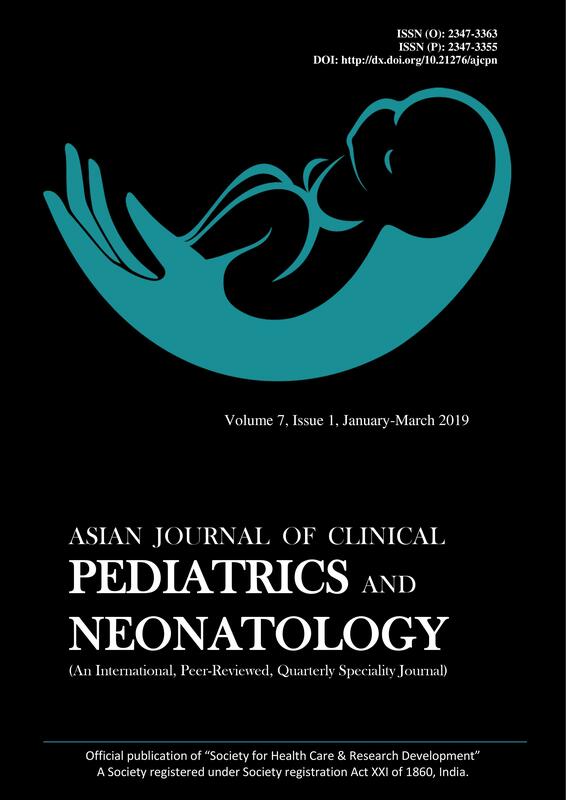 Background: This study was designed to evaluate the effectiveness of routine postnatal clinical examination and pulse oximetry screening in detecting congenital heart disease in new-borns. Subjects and Methods: The term new-born babies born in narayana medical college and Hospital during the study period of 12months had a thorough clinical examination on day 2 of life with emphasis on peripheral pulses, cyanosis, tachypnea, cardiac pulsations and murmurs. Pulse oximetry screening was done within 4hrs of birth and at 48-72hrs of life. Chest X-ray, ECG and Echocardiogram were done for those babies with either abnormal clinical examination or pulse oximetry reading. Clinical examination was done again 2 weeks after discharge. Results: The sensitivity 26% for oximetry alone and 60% for clinical examination alone. Specificity was 99.8% for pulse oximetry alone, and 98% for clinical examination alone. Conclusion: Pulse oximetry can enhance the clinician’s ability to detect life threatening CHD in a timely manner.